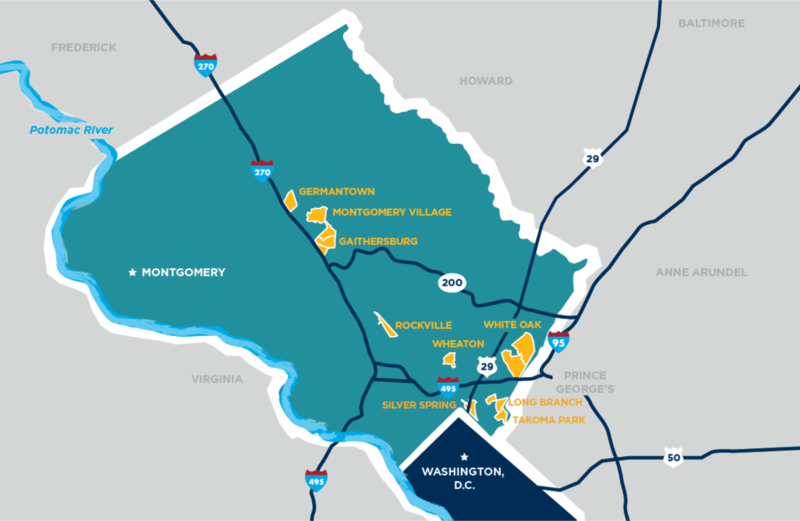 Use these maps to learn more about the many assets that make Montgomery County a great place to start and grow business. Check out the Connectivity Map with our proximity to 3 airports, Metro and an extensive highway system. 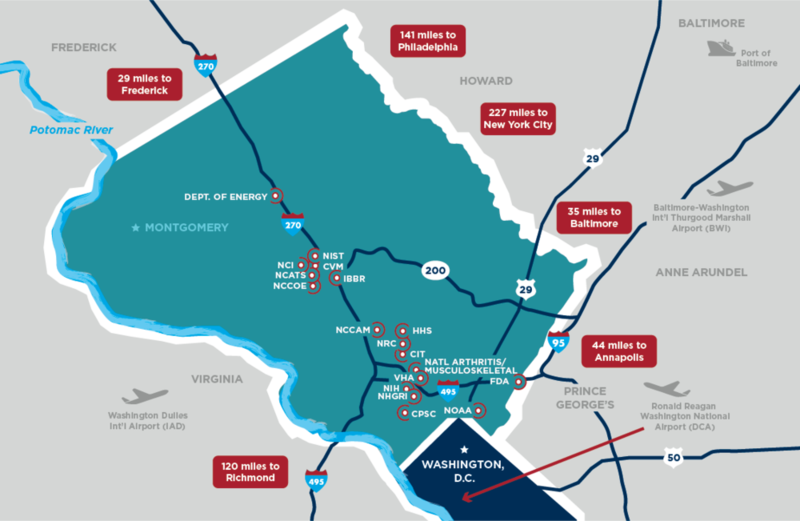 Find the locations of our Innovation Centers, Enterprise Zones and Opportunity Zones. 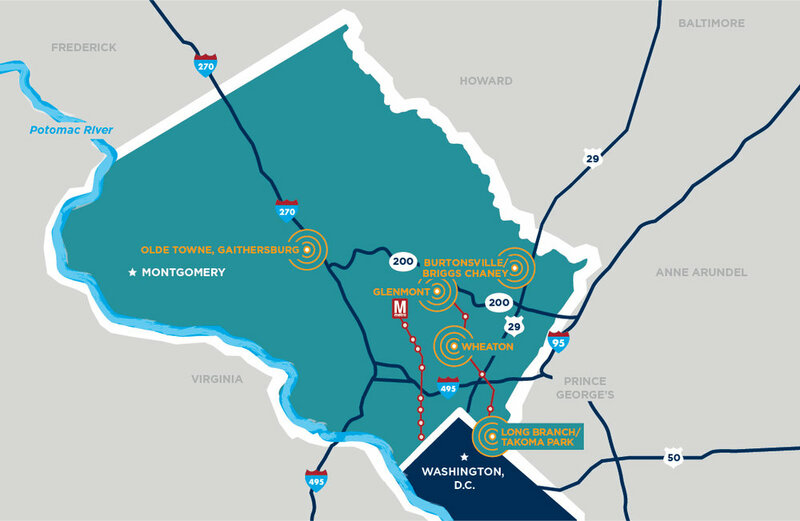 Explore the diverse business location and community maps to pinpoint your best spot for business growth.